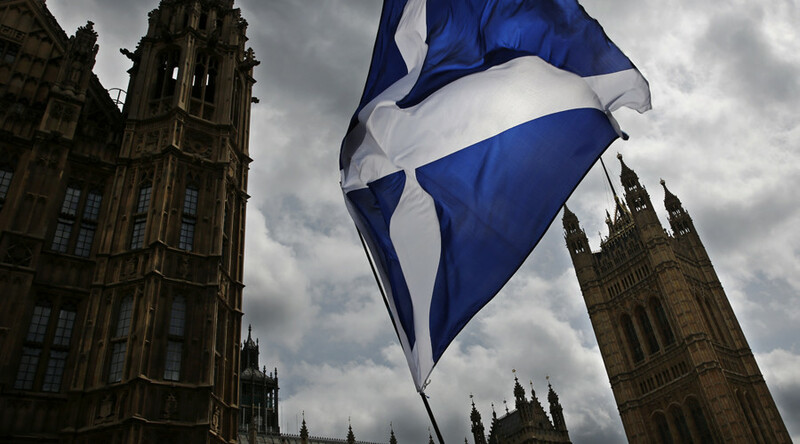 Scotland’s main political figures are locked in open conflict after Scottish First Minister Nicola Sturgeon called for a second independence referendum and Prime Minister Theresa May pledged to block any vote until Britain has left the EU. According to a Sky News tweet, Salmond incited the first minister to call for the vote on Monday, earlier than originally planned. The unnamed sources also told the broadcaster that Sturgeon “doesn’t want and does not believe she can win” under scrutiny. “Complete. Utter. Piffle. UK Gov caught flat footed. Obvious Downing Street briefing, Sky news silly enough to repeat it,” Salmond quickly replied on Twitter. However, Sturgeon and her SNP colleagues both in Holyrood and in Westminster had been warning about the possibility of a second ‘indyref’ since Britain voted to leave the EU. Salmond stepped down as SNP leader when he lost the 2014 Scottish independence referendum. He returned to frontline politics, this time at Westminster, as MP for Gordon in 2015. His one-time deputy Sturgeon insists the SNP leadership is hers alone. The leader of the Scottish Conservatives, Ruth Davidson, made a U-turn on Monday, arguing that Sturgeon was “not speaking for Scotland” when she called the referendum. Davidson went on Sky News on Monday afternoon to bash the first minister, saying Sturgeon had “no mandate” to call for an end to the Union just three years after the last independence vote. “The first minister’s problem is she has no mandate for a second independence referendum,” Davidson said. “She lost her majority in Parliament, the people of Scotland have said time and time again that they do not want to be dragged back into the division of another referendum. She’s trying to convert votes like mine, which were for Remain in the EU referendum, into votes for another independence referendum. However, Davidson herself had argued for a second independence referendum just last year. Blocking a second indyref, however, is exactly what Theresa May has promised to do, accusing the SNP of “tunnel vision” and Sturgeon of playing “games” when Brexit is around the corner. Most experts believe a full ban on a second referendum is unlikely, but suggest May will do her best to postpone it until the Brexit proceedings are done and dusted. In addition, I was elected as FM on a clear manifesto commitment re #scotref. The PM is not yet elected by anyone. The attitude has left SNP deputy leader and House of Commons leader Angus Robertson incensed. 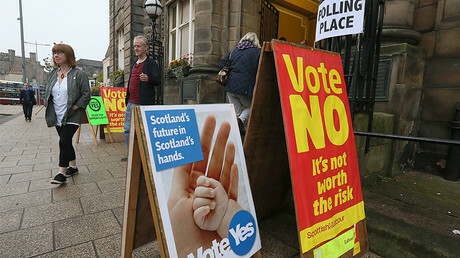 “I just cannot see how a democratically-elected UK government will say to a democratically-elected Scottish government which was elected on a mandate to hold a referendum, ‘one’s not going to allow a democratic vote,’” Robertson told BBC Newsnight presenter Emily Maitlis. “We have two options. One is to sit in the back of the Tory Brexit bus, shut up, say nothing, and see the prime minister drive us off a Brexit cliff.